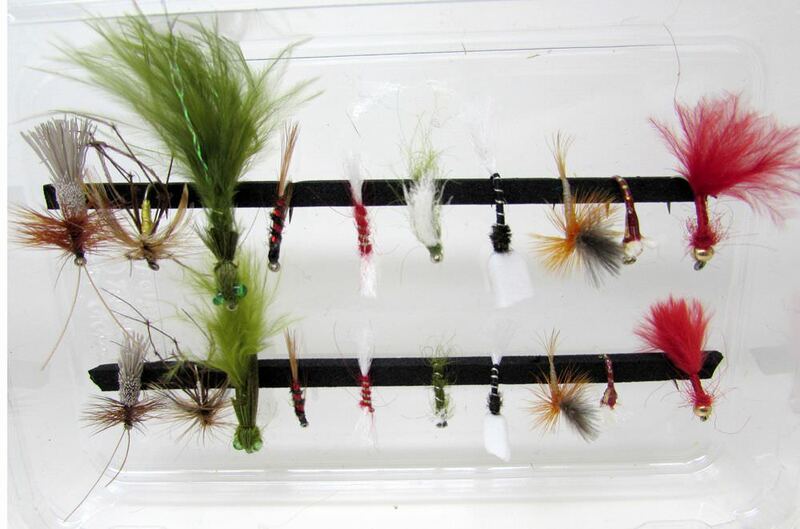 The answer to your prayers, a collection of Stillwater flies suitable for all occasions. Selected with the beginner in mind but also a great and easy selection for the regular angler. Comprises of 3D Glass Epoxy BH Buzzers, BH Bloodworms, Suspender Buzzers, Chew Buzzers, Goddard Caddis, Holo Diawl Backs, Daddy Longlegs, Shipman's Buzzers, AK CDC Para Shuttlecock Emergesr and Damsel Nymph fly ranges.